Perfect english schooling front zip breech with contrasting knee patch, stitching on the euro seat and inside seam. These features add both, style and comfort in the saddle. Grand Prix is using the Dorlastan technical fabric to construct form fitting riding breeches with enough stretch to deal with demands of an equestrian athlete. The modified rise hits low but not as low as a low-rise breech to offer little more coverage and is finished with wide waist band. 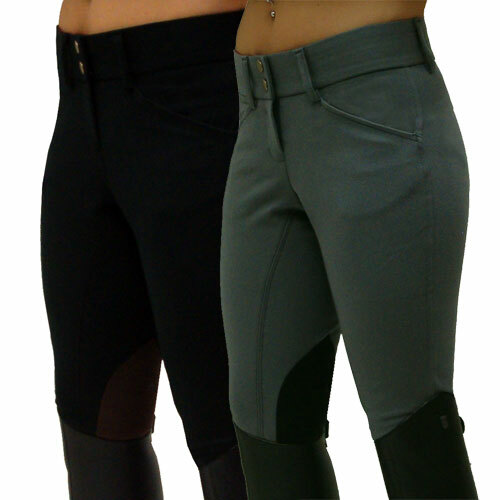 The Grand Prix Vega breech is flattering with right fit for a range of body types.